ZIMBABWE – A former truck driver at Alpha Omega Dairy company Thursday appeared in court facing theft charges after he continuously received salaries amounting $1 000. Tapiwa Manyoni, 21, of Mbare pleaded guilty to the charges and was convicted and remanded in custody pending his sentence. He appeared before Harare magistrate Nomsa Sabarauta. 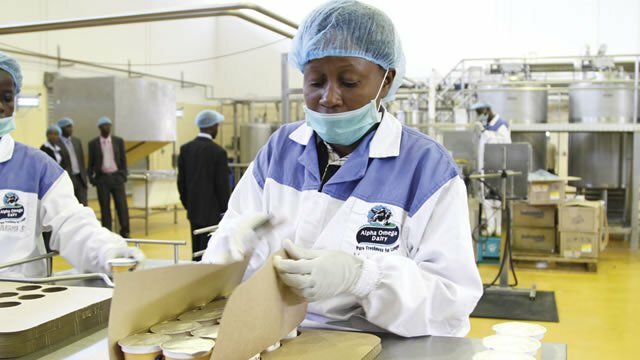 Alpha Omega Dairy Company were represented by Mkhululi Nyoni, the head of security at Gushungo Holdings Private Limited. Prosecutor Devoted Nyagano told the court that Manyoni worked as a truck driver based at Alpha Omega Simon Mazorodze branch in Harare. The court heard that Manyoni resigned from work after notifying his employer that he wanted to further his studies. However Alpha Omega continued depositing a monthly salary of $242, 72 into Manyoni’s CBZ Bank account at Robert Mugabe Branch in Harare. The money was deposited for four consecutive months and amounted $970, 88. On December 5 last year, Manyoni withdrew $940 from his bank account which was not due to him and converted the money to his own use. A bank statement was obtained and produced in court as an exhibit. Alpha Omega suffered a total prejudice of $970, 88 and nothing was recovered.